Visible reduction in dark circles, wrinkles and fine lines. Himalaya Herbals Under Eye Cream contains the breakthrough herbal actives of Cipadessa baccifera* and Bergenia ligulata* that reduce the appearance of dark circles and protect the sensitive area under the eyes from sunlight. This cream detoxifies and intensely moisturizes the under eye area and smoothens wrinkles and fine lines. Regular usage has known to help prevent new wrinkle formation. 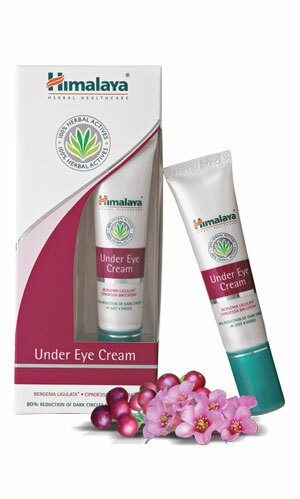 Gently massage Himalaya Herbals Under Eye Cream into the delicate area beneath the eyes after thorough cleansing. Use twice daily.